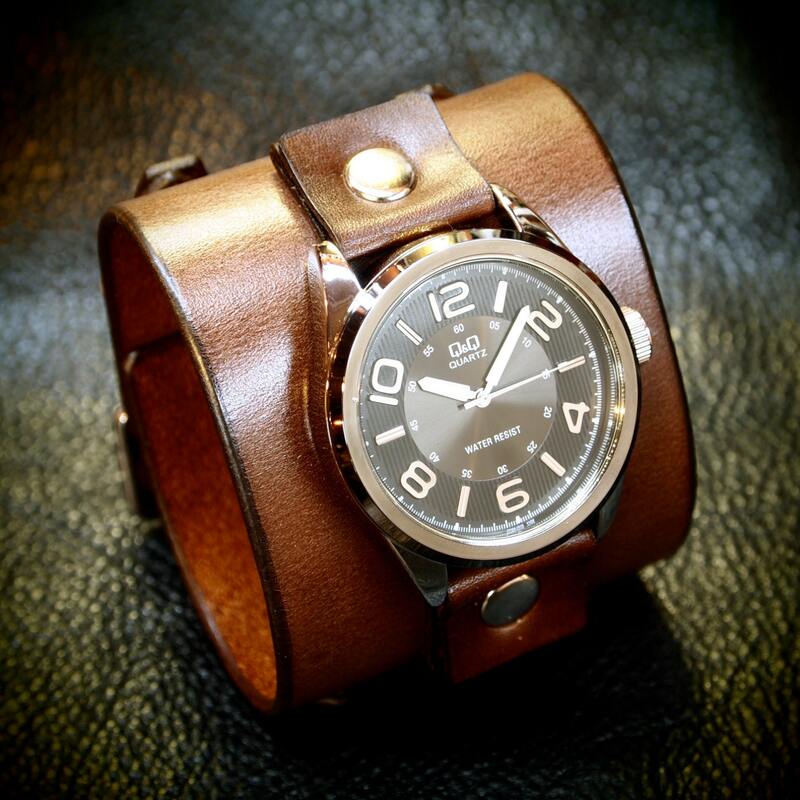 Brown Leather cuff watch : Vintage style leather cuff watchband. Best handmade quality. Made in New York! 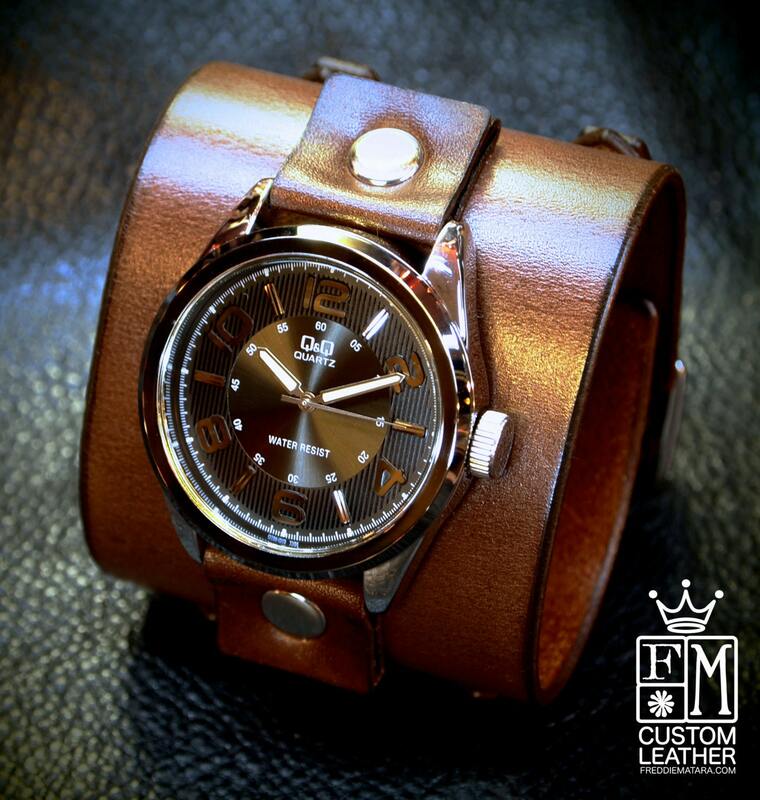 This brown leather cuff watch is hand dyed in a rich brown finish . It has hand beveled and slicked edges and uses 2 straps and buckles. It is topped with a beautiful Q&Q quartz watch with a black face and has Stainless and nickel hardware. 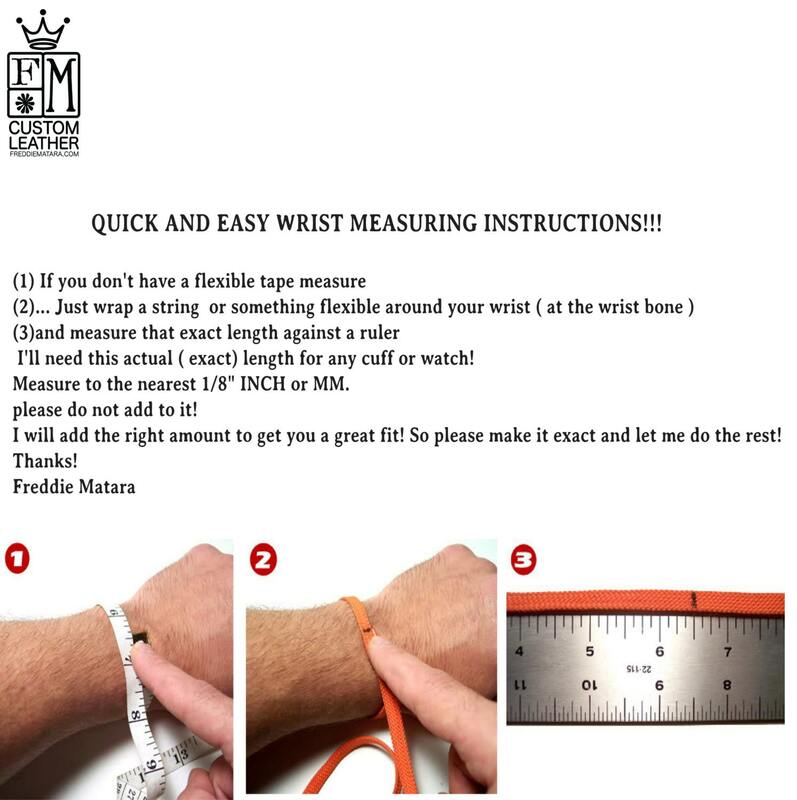 A great retro style wristwatch! 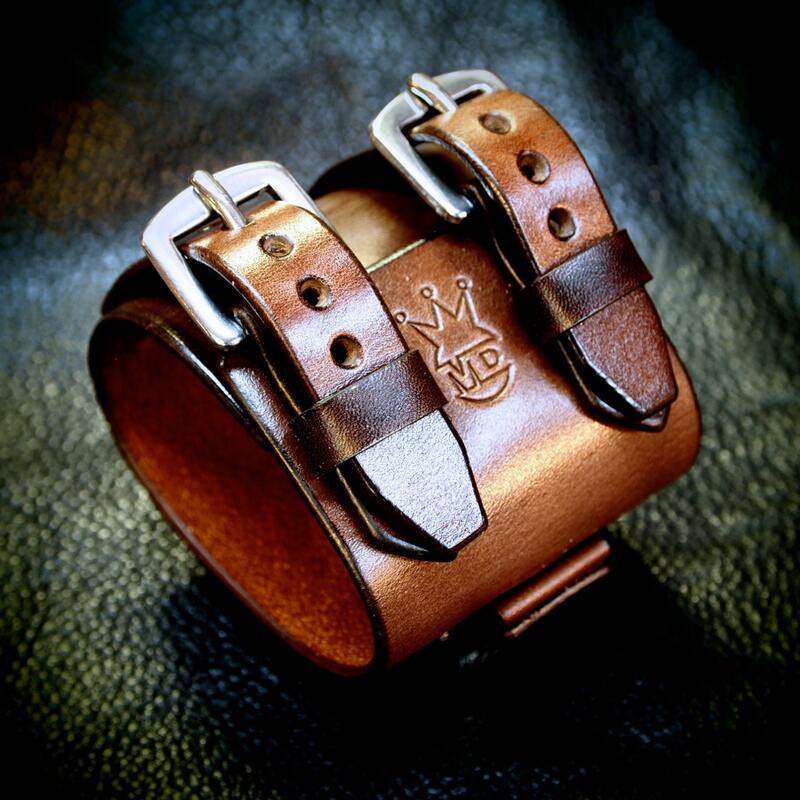 I use a fine hand in my work bridging the gap between craft and art and truly love making You Quality Leather wrist wear. 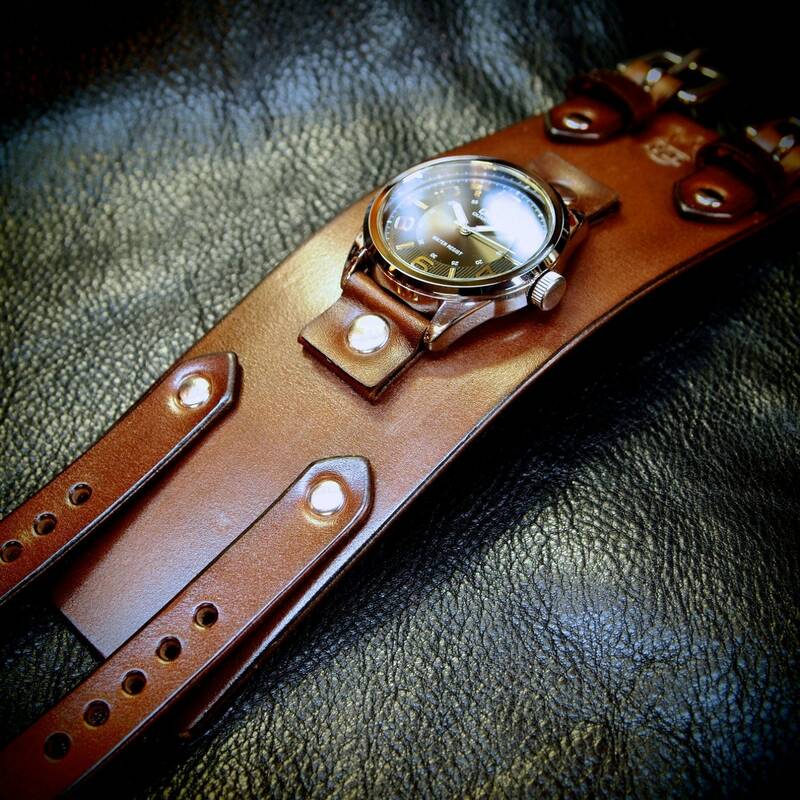 Very well made cuff watch. Comfortable and looks great. Thanks Freddie.